These days, consumers aren’t just visiting websites via their mobile devices, they’re increasingly using them to request more information. In fact, in many cases we find the majority of a campaign’s leads come from phone calls rather than contact forms, making calls an important KPI for lead generation campaigns (one step below an actual conversion or sale) and dynamic call tracking an important tool for optimizing them. 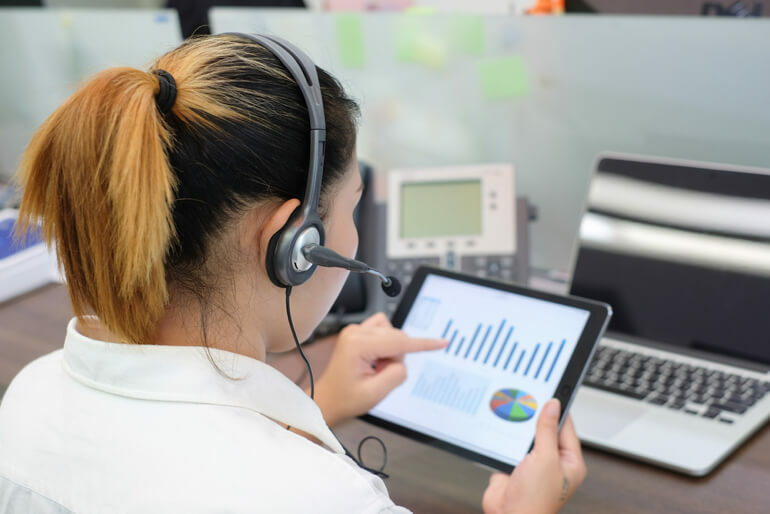 Once you have implemented call tracking and started collecting data, it is important to start taking action and using it to optimize your lead generation campaigns. This data can help us determine which channels, landing pages, ads or keywords are bringing the most qualified visitors to a website. However, it’s not enough to only know which channels are performing well in relation to each other, but which campaign tactics should be be adjusted to improve performance. We often take this data a step further. In paid advertising, we’ll use split tests of ad copy and then determining which copy is helping us drive more phone calls. Over time, we can use that data to improve campaign efficiency and deliver more leads at a lower acquisition cost. For organic search initiatives, we’ll update title tags and meta descriptions to test what that change has on organic traffic and then see if there is a correlation with increased phone calls. Once we start to see positive results, we can repeat the process and scale up performance consistently over time. Dynamic call tracking provides useful data that we can use to evolve a campaign over time as we identify which elements are performing well—and which we can adjust—to maximize a campaign’s impact, cost efficiency and ROI.